Our new Vector Map is not only beautiful, it also has brains! Only see the information that really matters, based on the time that you fly! Thanks to a close cooperation with Eurocontrol, EasyVFR can filter airspaces based on the time of your flight. Only the airspaces that are active during your planned flight will be shown on the map. Restricted, Prohibited and Danger-areas as well as CTR's that are not active during your flight are shown with fainted color, creating a map that is much easier to read and a much more pleasant navigation experience. 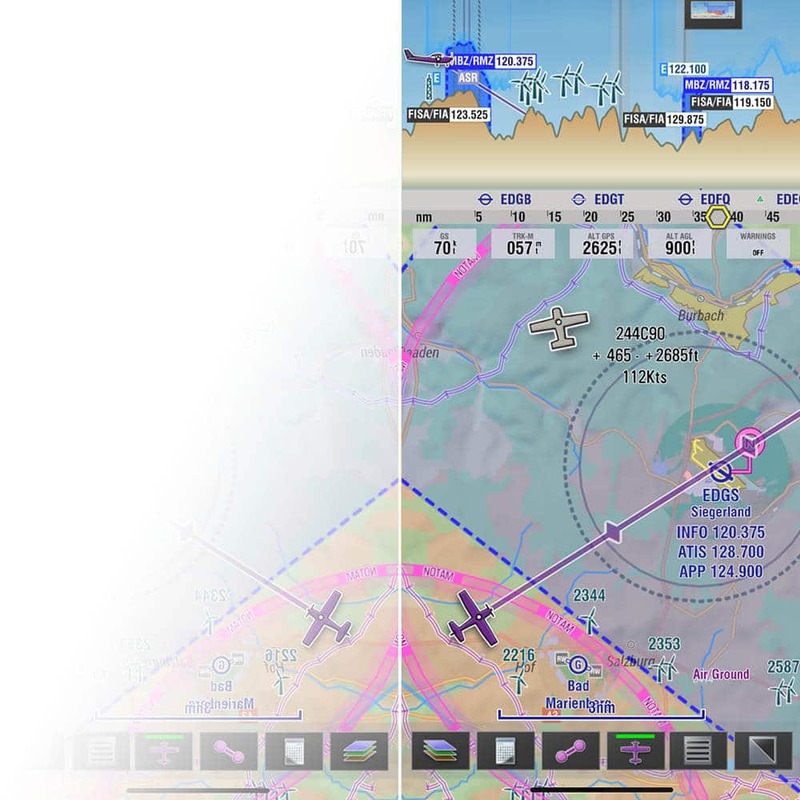 The new vector map engine in EasyVFR 4 displays incredible detail at unprecedented performance. You can zoom in from global overview to treetop level at the flick of a finger, with continuous visual quality at all zoom levels. Around airports extended detail and lower zoom levels are available. 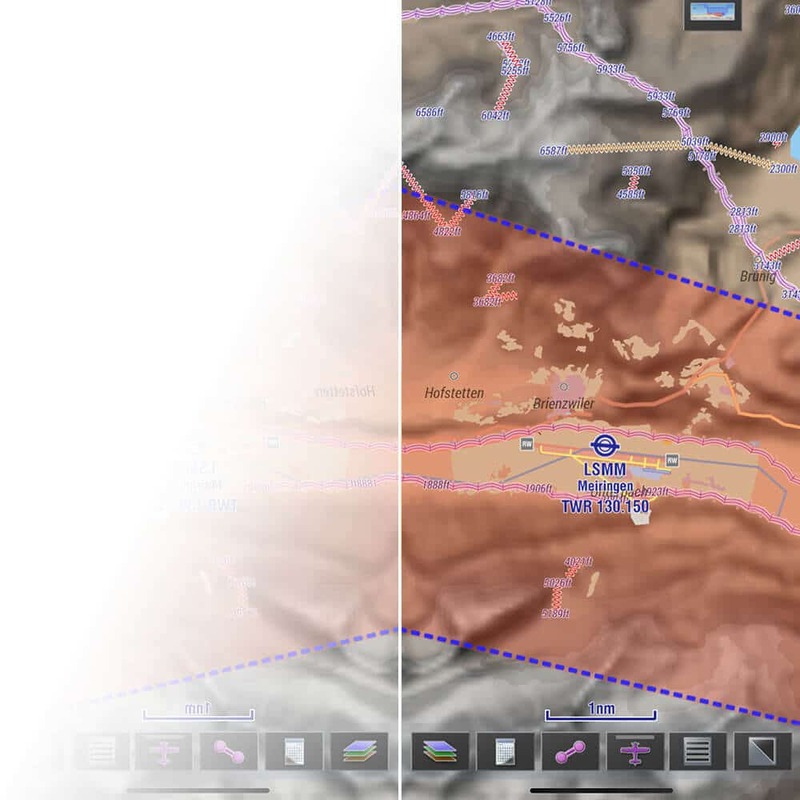 Combined with beautiful terrain shading, the EasyVFR SmartMap is very easy to look at! The EasyVFR SmartMap shows all the relevant NOTAMs for your planned flight on the map. NOTAMs can be filtered based on time and type of NOTAM, giving you a clean and easily readable map. If the necessary information is made available in the NOTAM, EasyVFR is able to plot the airspace on the map. 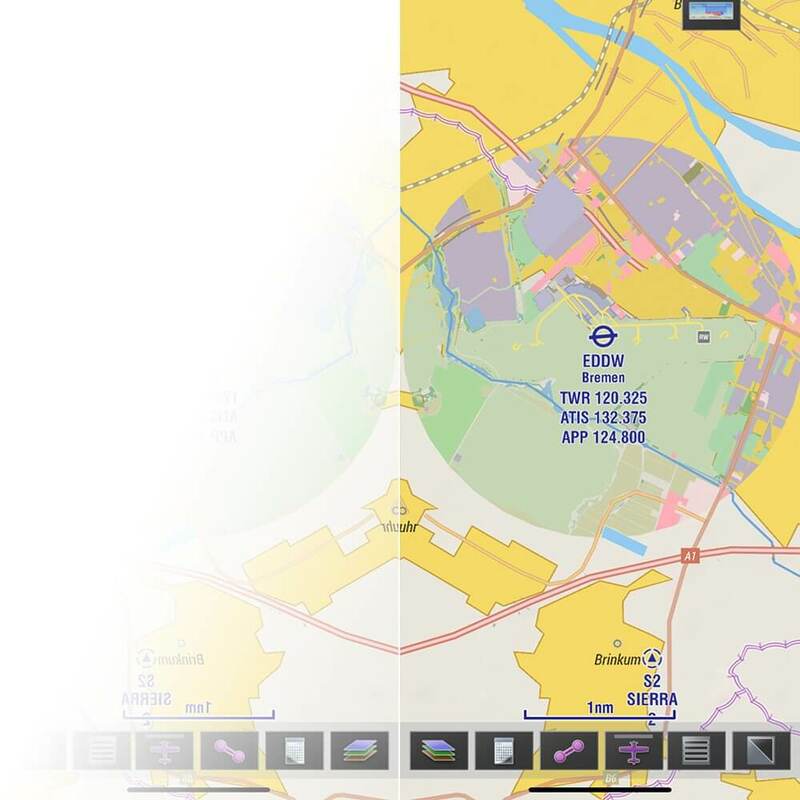 EasyVFR SmartMap allows you to instantly spot NOTAMs that may be relevant for your flight. EasyVFR uses professionally maintained AeroData. Updates are distributed for free every 28 days according to the official AIRAC schedule. The dataset used by EasyVFR is widely considered to be the most complete available and gets the approval of prestigious traffic management organisations like NATS and LVNL. 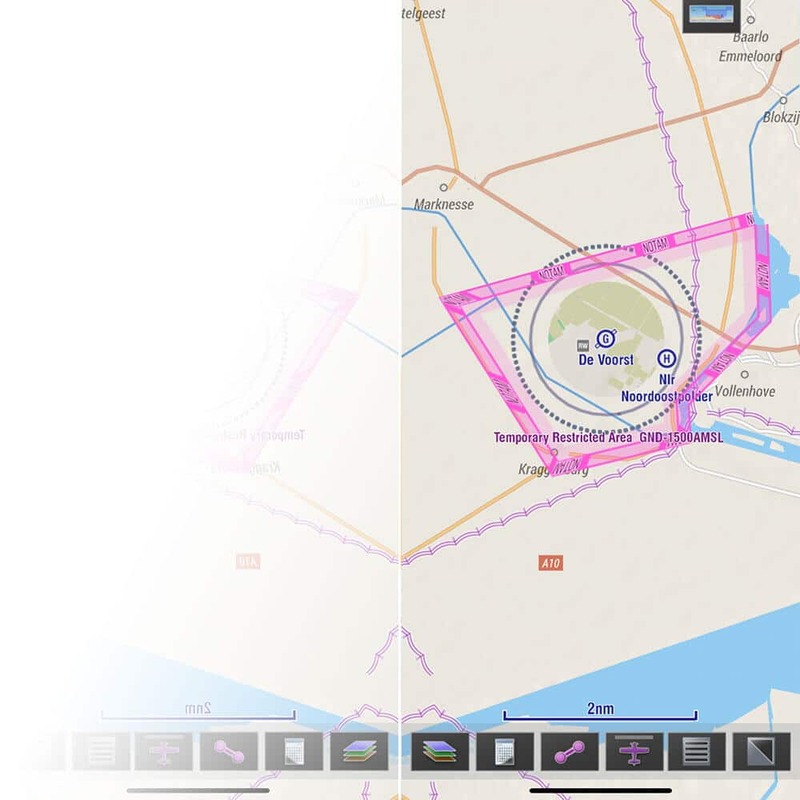 Many competing systems only use AIP data, and therefore do not offer details like glider fields, heliports, ultralight strips and various other aerial activity areas that can be found in EasyVFR. Special areas require special tools to operate safely. That is why EasyVFR contains a lot of data that help you to navigate through the most challenging environments. In Switzerland and Austria, EasyVFR shows the location of ski lift and power lines with their respective altitude. Only the airspaces that are active during your planned flight will be shown on the map, creating a map that is much easier to read and a much more pleasant flying experience. See the examples below what it can do to some of the most complex airspaces of Europe! "The easy overview of all the information that matters gives me peace of mind. This gives me the true sense of freedom while flying!"